On Friday April 7th, 2017, the daily paper Sme brought the wonderful news in its insert Magazín o knihách (The Book Magazine). Readers of the bookstore chain Panta Rhei voted for their favourite author of the year 2016. Jozef Banas placed second right behind Dominik Dán and before another core author of the publishing house Ikar, Jozef Karika. 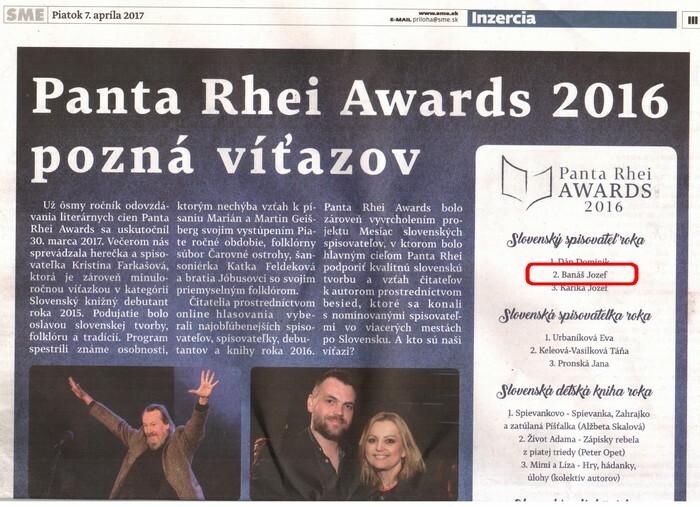 The results were announced during the festive evening Panta Rhei Awards 2016 in Bratislava´s Raffinery Gallery on March 30th. Amongst the female authors another colleague from the publishing house Ikar, Táňa Vasilková Keleová, placed second right behind Evita Urbaníková. 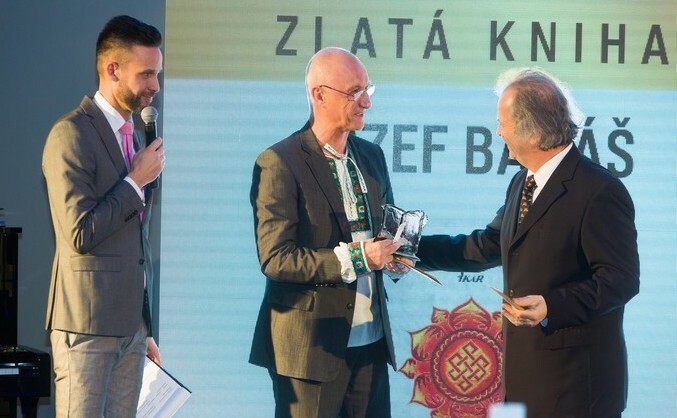 Following the recent double success at the award ceremony Ikariáda 2016, where Jozef Banas had received the Platinum Book Award for his book Dementi and the Golden Book Award for his novel Kód 7 (Code 7), the success in the competition Panta Rhei Awards only proved his ever rising popularity among Slovak readers. Jozef Banas is accepting the Golden Book Award from the hands of the world-renowned violinist Václav Hudecek.